Two maker moms discuss the importance of making for kids #MothersDay « Adafruit Industries – Makers, hackers, artists, designers and engineers! Make posted these great videos from Maker Moms discussing the importance of making for kids. 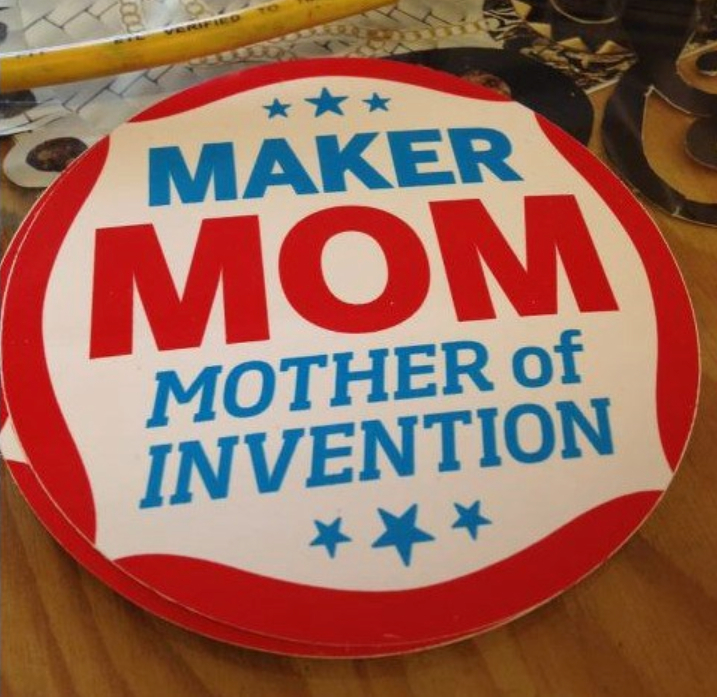 Here at MakerKids makerspace for kids in Toronto, we know that behind every Maker Kid is a Maker Mom, and this week (being the week of Mother’s Day) we are celebrating Maker Moms even more than usual (we always try to celebrate them). Here are two great videos from Maker Moms we have met, telling us how they foster making with their kids. The first is from Julie Williams-Hudy, the mother of Joey Hudy — an awesome 16-year-old maker we met at Maker Faire Rome, who created a marshmallow cannon that he got to shoot in the White House with President Obama. Joey and Julie have been kind enough to donate products to MakerKids, including the awesome Maker Mom stickers from MAKE pictured above. The second video is from Karen Mikuni (who we also met at Maker Faire Rome), mother of Quin Etnyre — a 13-year-old CEO of his own maker company, Qtechknow.